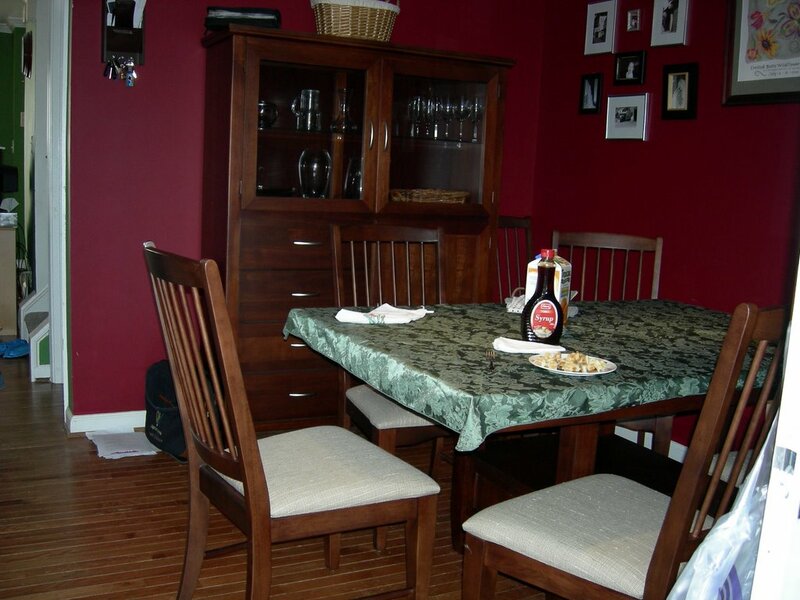 We finally have a grown-up dining room. A matching set, that is nice. All the chairs actually go with the table (leaning in a whisper) and they match. We no longer have to squeeze 6 people at a table for four tiny adults, and force the children to eat at the tiny pre-school table. The table and curio cabinet arrived and was assembled in about 25 minutes time. Very nice. I was pleased with how quick the process went. The table is huge, it consumes the entire room fully extended. I don't expect that there will be much room for anything other than the table and cabinet. That's good, less reason to pile up stuff all over. I hope I can keep the accumulation at a reasonable level. What an achievement! Now I need to throw a little dinner party.